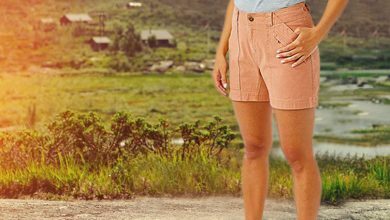 If you travel or go camping frequently, investing in the best portable camping generator will make your life very easy and convenient outdoors. This is because most of these generators are compact and lightweight to fit in most RVs and other vehicles.The generators are designed with low noise rating, meaning they are ultra-quiet not to interfere with your peace. Better yet, they are powerful enough with clean power to operate most sensitive electronic appliances. There are several options when it comes to portable camping generators, but only a few can qualify as the best. Thus, we have compiled the following reviews to help you find the best choice for all your needs. 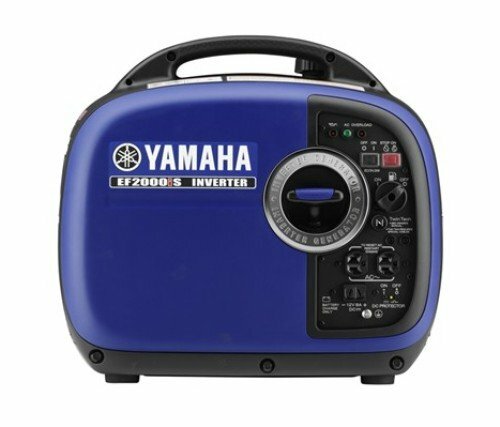 The Yamaha Gas Powered Portable Inverter (EF2000iSv2) produces 51.5 dBA to 61 dBA, making it very quiet to the extent that you can set it near your tent and not hear it running. This generator is equipped with a smart throttle that allows greater fuel effectiveness and noise reduction by mechanically adjusting the speed of the engine to match the load. Hence, it can run for up to 10.5 hours at 1/4 rated load on a full tank of gas. And there is an electrical overload breaker to prevent generator damage in case of overload. This generator features an oil watch warning system to prevent engine damage caused by low oil. As a result, you can buy this unit with confidence knowing it has no downtime, saving you the costly repairs. Furthermore, the generator boasts an auto-decompression system that reduces compression for easy starting. 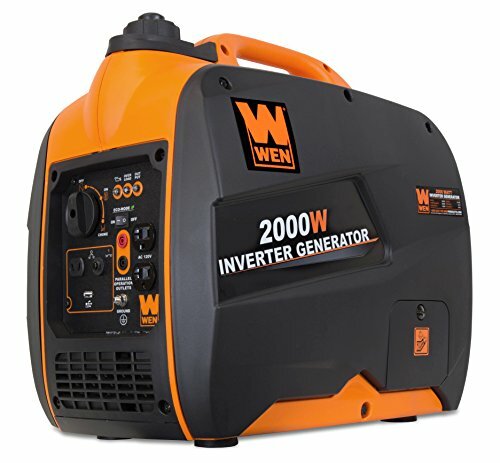 Designed to reflect a pure sine wave, the WEN 2000-Watt Portable Inverter Generator (56200i) limits total harmonic distortion to produce clean power. Thus, it is safe to operate sensitive electronics such as computers, smartphones, televisions, and tablets. This generator operates really quiet, making it suitable for camping grounds, tailgates, constructions sites, and power outages. It weighs 48 pounds and comes with a convenient carry handle to facilitate easy portability. The generator will enable you to maximize fuel economy by engaging the eco-mode system, which allows the motor to automatically adjust its fuel consumption. It has a 79.7 cc 4-stroke OHV engine that produces 2000 surge Watts and 1600 rated watts. However, if more than 2000 Watts are required, this generator has WEN 56421 Parallel Connection Kit to allow you to link two generators together for greater power. Moreover, the generator is equipped with an efficient 1-gallon tank to provide over 6 hours half-road run time. 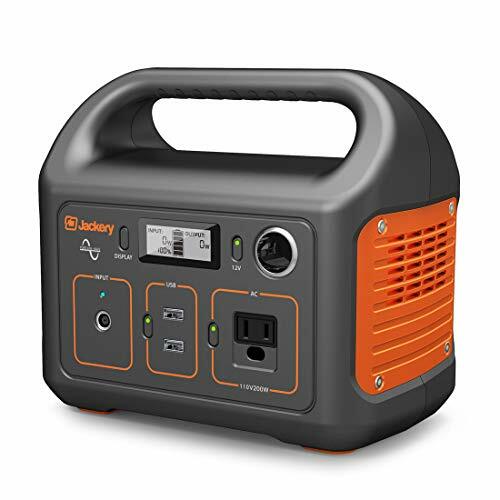 Equipped with high-capacity rechargeable lithium power pack, the Jackery Portable Power Station Generator, Explorer 240 is a powerful generator for outdoors. It is powerful enough to charge smartphones 18 times, GoPro 40 times, laptops 4 times, mini projector, and other small power appliances. Measuring 5” wide and 8” tall, while weighing 6.6lbs, this unit is the lightest and most compact in its class. As such, it is suitable for camping, RV outdoors, and hurricane emergency life. Also, this generator comes with an easy carry handle, making it very easy to carry and to transport. This portable power station has no vibrations, meaning it is really quiet and noise free. And it hazes no emissions; hence, does not pose any threat to personal health or the surrounding environment. Moreover, this generator can be recharged conveniently under the sun using a 50W Solar panel which is, however, sold separately. 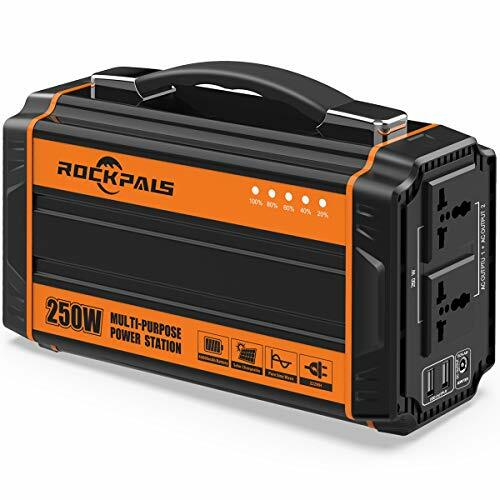 Compared to other similar battery-powered generators, the Rockpals 250-Watt Portable Generator is by far the best. For one, it comes with a high-capacity lithium polymer battery that is powerful enough to charge smartphones 25 times, TV 2 to 3 hours, laptops 3 to 5 times, and other small appliances. This generator can be easily recharged from the sun using any compatible 50W or 100W solar panel. It features better than a modified sine wave and clean power like utility-supplied electricity. This, therefore, makes inductive appliances like microwaves and motors run quieter, faster, and cooler. The generator is a gas-free source of portable power with no exhaust fumes, making it safe for human, plant, and animal life. Better yet, it is ultra-lightweight and comes with a carry handle which is very handy for putting into the RV or taking wherever you need power. With 58 dBA noise rating, the Champion 3100-Watt Portable Inverter Generator is quiet and ideal for RV, camping, tailgating, or back up power for your home. It has 3100 starting watts and 2800 running watts, making it powerful enough to run most household appliances. The generator is equipped with a 120V 30A RV, plus two 120V 20A outlets as well as clean power. Thus, it is safe for operating sensitive household electronics including fridges, computers, laptops, and smartphones, among others. There is a smart economy mode that reduces the electrical load to provide extended engine life and better fuel economy. The generator has a compact and lightweight design that makes it easy to carry and to transport. Besides, it features a quick touch panel to enable you to access all your controls in one spot. 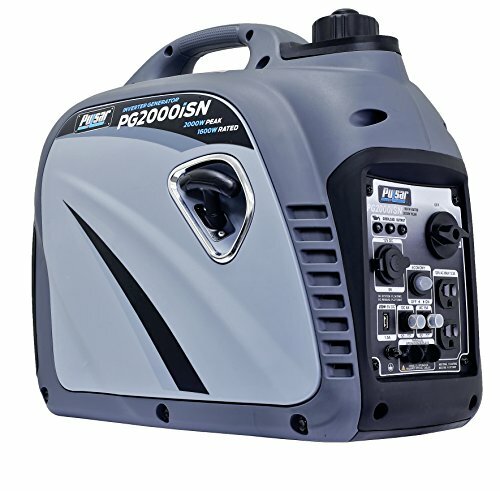 Consider the Pulsar 2,000W Portable Gas-Powered Inverter Generator for your next outdoor gathering. This is because it has a rating of 59dBA, meaning it runs very quietly to allow you to set it up not far from the tent. And the best part is that it is equipped with a parallel connection kit to enable you to connect it with another generator for greater power without the use of a larger unit. 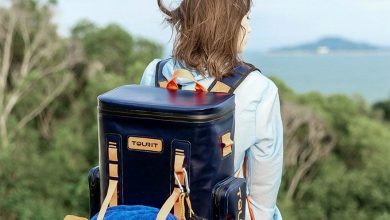 This generator has a handy suitcase design which is compact, durable, and weighs just 47lbs to give you the freedom to take it anywhere. For this reason, you can carry the generator to tailgating, camping or any other outdoor event. This generator runs on 4-stroke, OHV engine that produces 2000 peak watts and 1600watts of power. Plus the output is very powerful with a clean sine wave, which is safe to run sensitive electronic appliances like laptops and smartphones. 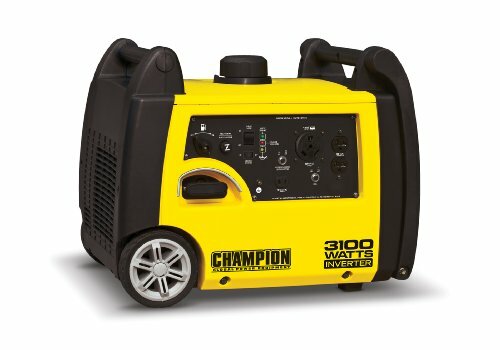 The Champion 2000-Watt Portable Inverter Generator is the perfect combination of innovation and versatility. This is owed to the 50 pounds total weight that makes it lightweight for camping and tailgating. It is equipped with a reliable recoil start and cold start technology to allow for a quick and effortless start in cold weather. This generator runs on an 80cc engine that produces 2000 starting watts, 1700 running watts, and 9.5 hours run time at 25% load when the 1-gallon tank is full. As a result, it can be used to power appliances around RV like lights or TV and as backup power for a few home appliances like microwave, light, TV, Router or phone charger. Additionally, the generator comes with a smart economy mode, which reduces the electrical load to provide quiet operation, longer engine life, and better fuel consumption. Featuring 2,000 Peak Watts and 1,600 Running Watts, the Pulsar 2,000W Portable Gas-Powered Generator is capable of running for 8 continuous hours at half load on 1.18 Gallons of Fuel. 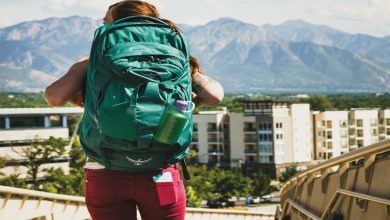 It weighs 47lbs and comes equipped with a compact suitcase design for easy carrying. The generator has a noise rating of 58dBA to make it virtually silent from up to 10ft. away. It is equipped with stable sine wave technology to provide safe and pure power to run sensitive electronic appliances. There are two AC 120V 13A Outlets (one 5V DC USB Outlet and the other 12V DC 8A Outlet) to enable you to charge and power multiple devices at once. The generator has a parallel capability to allow you to connect 2 units together for increased power output. In addition, it is available in two different watts to choose from, depending on your needs. Crafted with advanced inverter technology, the Honda Gas Powered Portable Inverter, EU3000iS produces power, which is as reliable as the power you get from the utility supply electricity. As a result, it can be used to power a wide variety of appliances including microwave fridge, furnace, and TV, among others. 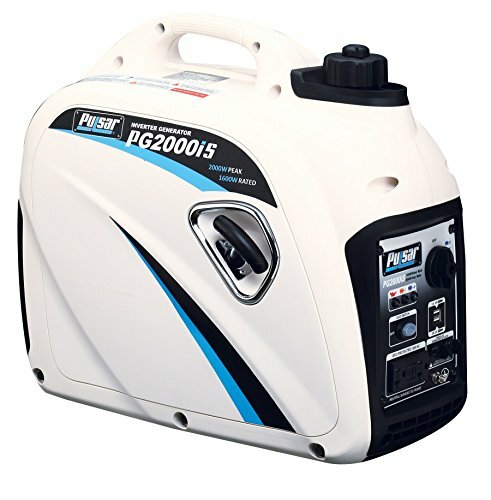 This generator produces clean and stable power in a smaller and lighter package that is easy to carry and to transport. It has a noise rating of 49 to 58dBA, and this is less noise compared to a normal conversation. For this reason, it is ideal for RV power, camping, or any other activity that needs quiet power. The generator has a fuel alert system that protects it by shutting the engine off when low oil is detected. Furthermore, it is highly fuel-efficient to run up to 20 hours on 3.4 gallons of fuel. 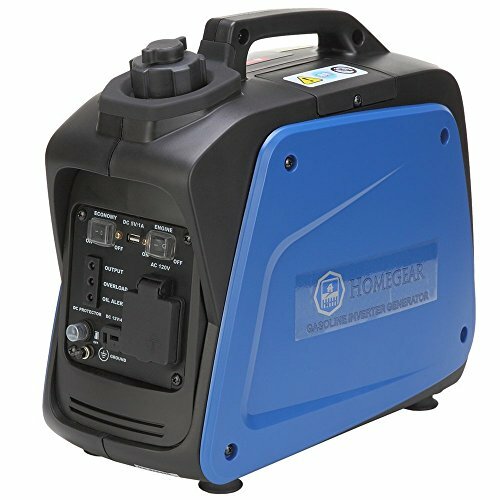 If you are traveling or camping and needs a portable source of electricity, the Homegear 950 Watts Portable Gas Inverter Generator is your go-to product. It comes in a compact and lightweight design, making it easy to carry around and to store when not in use. The generator is equipped with an easy-pull starting system that starts easily to give you electricity just moments after getting it out. There is a built-in digital inverter system that ensures clean power suitable to power sensitive electronic appliances. The generator comes with low oil indication lights to protect it by shutting off when low oil is detected. Also, it can run for 6.3 hours on 0.08-gallon tank capacity. Remember to set the generator in well ventilated outdoor locations because it gives off toxic exhaust fumes which are dangerous to human and animal life. Below are a few factors we believe will help you narrow down your choices to get one quality portable generator for camping. When looking for the best camping generator, you have to consider the noise level emitted. The last thing you want is to end up with a generator that will make other campers kick you out because of unbearable noise. As such, consider generators with 59dBA rating and below, as they tend to be quieter than normal conversations. 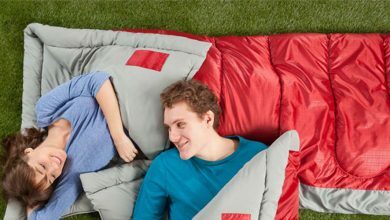 Although all of these camping generators are portable, some are more portable than others. Therefore, consider generators that are compact, lightweight, and easy to handle yet still come with an equal measure of functionality as well as quality. Also, you should check if the generator comes with a handle for better portability. Run time has to do with the amount of time the generator can operate on a full tank. The number of hours a given generator should provide should be at least 8 hours. Yet there are some generators that can run for up to 30 hours, depending on the tank capacity. However, should you go for such generators, expect to part with a lot of cash. 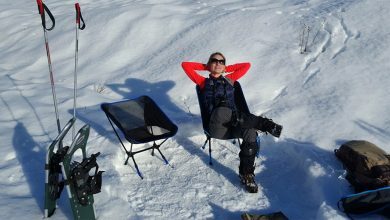 Where should I set the portable generator? The generator should be set outdoors positioned away from doors and windows so that the exhaust fumes do not get into the house. Also, ensure it is protected from rain, snow, and moisture. Which home appliances can I power with my portable generator? It depends on the wattage of the generator and of the appliance. Ensure the total wattage of the appliance does not exceed the maximum wattage of the generator. Hence, you should figure out the kind of appliances you want to use and ensure they can all be powered by the device. How do I choose the right cord for my portable generator? First, make sure to use a cord that is meant for external use. Usually, models with a gauge of 12, 14, and 16 are the most preferable. 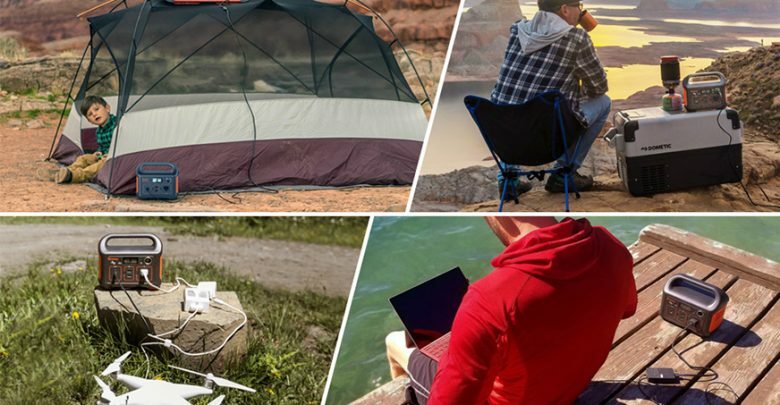 Most of the portable camping generators in this list are easy to set up, making them ideal for on-the-go use. Many manufacturers will claim their generators are the best, but if you don’t want to take chances, make sure you find your next generator from the above reviews. We have done thorough research to bring you only the best products.